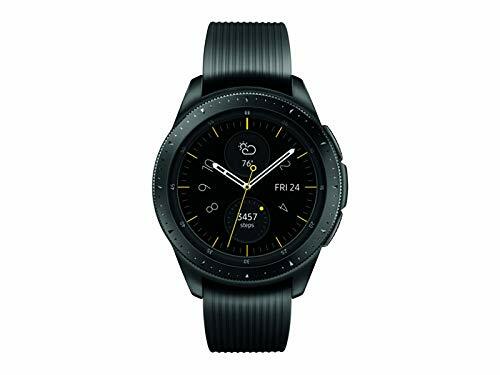 Display: 1.2 Inch sAMOLED 360x 360 Processor: 1.15 GHz Dual-Core Memory: 0.75GB RAM 4GB internal storage Connectivity: 802.11 b/g/n 2.4GHz Bluetooth v4.2 Battery: Up to 3 days Sensor Type: Accelerometer, Barometer, Gyro Sensor, HR Sensor, Light Sensor Dimensions: 41.9mm x 45.7mm x 12.7mm Strap: 20mm siliconeLive a stronger, smarter life with Galaxy Watch at your wrist. Rest well and stay active with built-in health tracking and a Bluetooth connection that keeps everything at your wrist. Plus, go for days without charging.